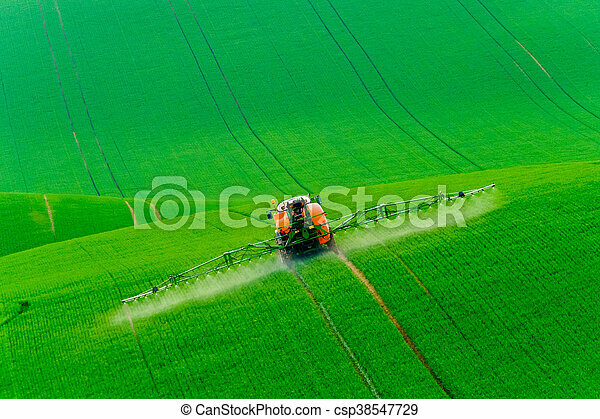 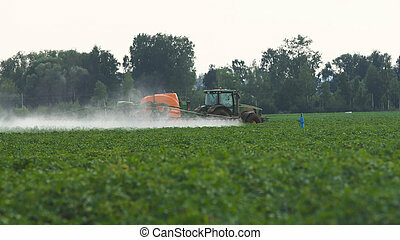 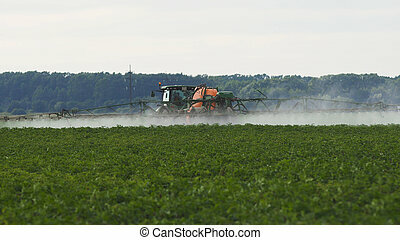 Tractor spraying the chemicals on the green field. 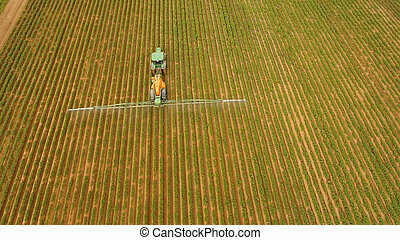 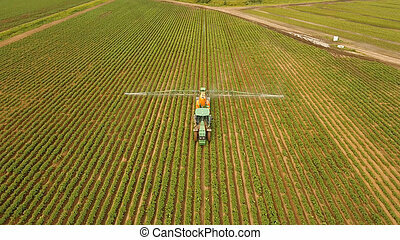 Aerial view tractor spraying the chemicals on the large green field. 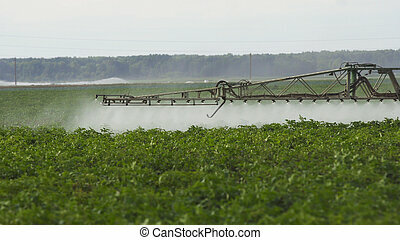 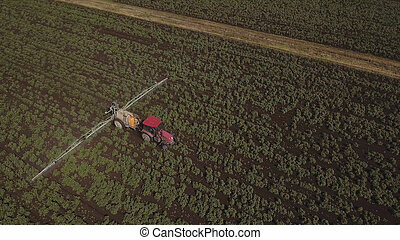 Spraying the herbicides on the farm land. 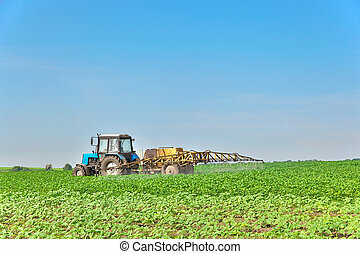 Treatment of crops against weeds. 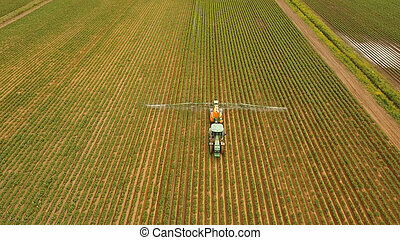 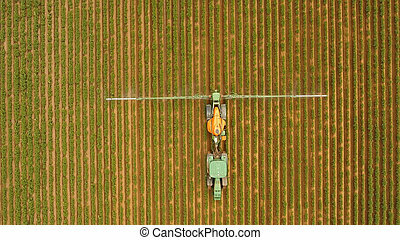 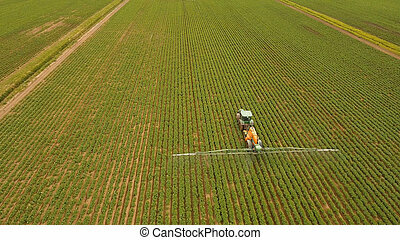 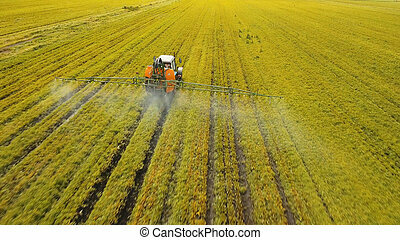 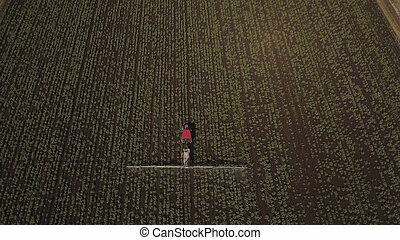 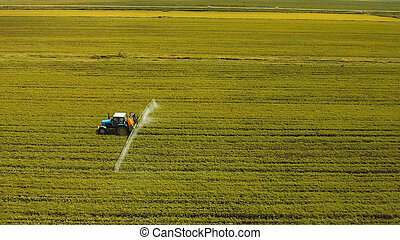 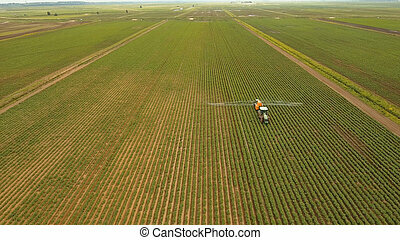 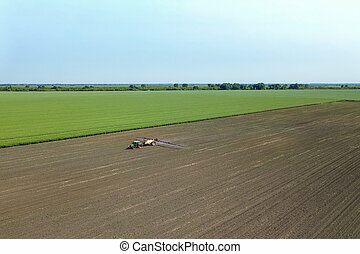 Aerial view Tractor spraying chemicals on the large field.